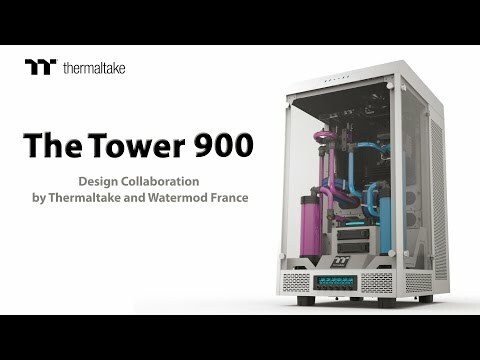 ThermalTake The Tower 900 Super Tower Computer Chassis, Full Side Windows, 2x 140mm Turbo Fans, 4x USB 3.0, w/o PSU is rated 5.0 out of 5 by 4. Rated 5 out of 5 by Helmheid from Did you call my case a -case-??? 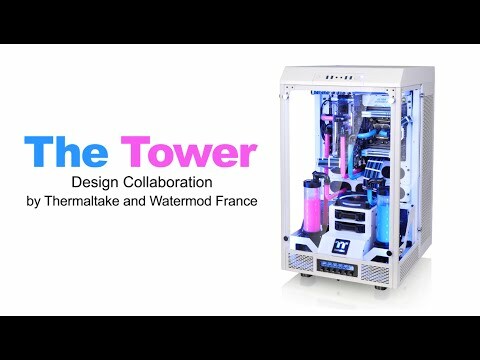 To call The Tower a mere 'pc case' would be an understatement. Just as it would be to say it's big. The thing is monumental, and no pictures do it justice. I had an idea of the size from specifications and photos, but when it actually turned up I wondered who ordered a fridge. There's enough space inside to fit two typical cases and park a small family car. Everything comes off easy, the whole case comes to pieces in 2 minutes leaving an open skeleton that's a delight to work in. Cable routing and watercooling is real easy as there's just so many possibilities and so much space. Twin cooling loops and an e-atx motherboard don't leave it looking cramped in any way. Air flow is amazing too, especially when side vents and the 'pedestal' in the front are covered in intake fans, while top and rear work as exhaust. The supplied fans are not flashy but nice and quiet, so I transferred mine to the rear where they aren't visible while front, top and sides look epic with Riing 140mm fans all around.They compliment the case really nicely. All in all, highly recommended case, but also a demanding one. It takes some style, so if all you want is a quick build, it's not for you. If you don't make it look good and classy inside, it'll just look empty and bland. Worth saying, all in one water coolers are a no-go in this one, and it's not really made for air cooling. It'd probably work, but what would be the point?